Bears have gripped Crude oil which has shed more than half of its value since last June, pushing the prices of the energy commodity to the lowest since the Great Recession. 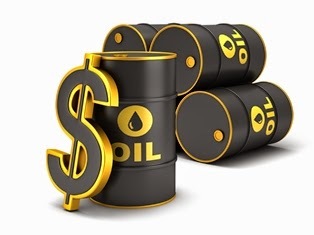 From over USD 100 per barrel, the price of the WTI crude, the US crude benchmark has fallen to USD 47-48 per barrel while Brent Crude, the main international benchmark, has halved to USD 54 per barrel from a year ago. So what has caused this steep rout in oil prices? Below are the top 5 reasons. US shale oil boom- A shale oil boom in the US has pushed production in the country to a four-decade high, while inventories at 463 million barrels are at the highest level in at least 80 years, meaning that the American oil market remains more than adequately supplied. Notwithstanding the oil price slump, American drilling activity has picked up, meaning that production may head northward going forward, signaling no respite for oil prices. According to Baker Hughes, the number of rigs drilling for oil in the US rose by 21 in the week ended July 24 to 659, the highest level since May 2015. Changing OPEC strategy- The OPEC, which accounts for about 40 per cent of global supplies, has altered the dynamics of the oil market. In a battle to regain lost market share from US shale oil producers, leading OPEC members such as Saudi Arabia and Iraq are pumping oil at record rates. According to a Reuters, OPEC supply hit a three-year high at 31.60 million barrels per day in June. Despite an oil price collapse, the cartel has held its production target at 30 million barrels per day. Iran back from forced hiatus – Iran, the fourth largest oil producer, is eying to double its crude exports as soon as sanctions against the Islamic nation are lifted following a landmark nuclear deal with the West earlier in July. The Islamic Republic may flood markets with as much as 30-40 million barrels of crude it is presently hoarding, once curbs are removed, probably within a span of a year or so. Softening global demand- With Europe battling its five-year old debt woes as periphery economies such as Greece threaten the breakup of the single currency union, coupled with a worsening slowdown in China, the world’s second biggest oil consumer, the demand outlook for crude oil has darkened considerably. China’s economy is set to expand at the slowest pace since 1990s in 2015 with the country’s factories slashing production, while a steep stock sell-off and a lingering property slump threaten to weaken domestic consumption casting a gloom on the energy commodity’s demand prospects. Dollar surge- the greenback is on a charge, surging to a decade high against a basket of key currencies, registering a year-to-date gains of a whopping around 20 per cent, wreaking havoc on dollar-denominated commodities. Stronger greenback has curbed the lure for oil as an alternative asset. Stronger dollar has made crude oil more expensive for those holding other currencies, thus dimming oil demand. When will the oil market recover? Hard to say but a near-term recovery is quite unlikely with experts fearing that the current slump in prices could be even more severe than the one in 1986, signaling hard days ahead for energy companies.